A content management system (CMS)is a computer program that allows publishing, editing and modifying content as well as maintenance from a central interface. Such systems of content management provide procedures to manage workflow in a collaborative environment.These procedures can be manual steps or an automated cascade. CMSs have been available since the late 1990s. our website development team have created advanced content management systems to suit all needs. Using a WYSIWYG (What You See Is What You Get) editor for your page content you get complete control over the page structure. Our content management systems allow you to easily update your website without the need for any technical knowledge, from any computer with internet access and without installing any software. Using any of our content management systems you can easily update your website without the need for any technical knowledge, from any computer with internet access and without installing any software. You can update page content, change or upload new images, add interactive content such as video and upload documents for your visitors and choose bespoke calls to action to drop in to individual pages. For our e-commerce web development clients, we build and develop shop management systems to take your business forward. This gives you the ability to keep other core content management and shop administration functions. Whilst our own core content management systems will suit many of our clients, we know that one size doesn’t always fit all. That’s why, as well as using our own powerful content management systems, we are also an open source content management agency and pride ourselves on being experts with many platforms including our open source platform of choice, WordPress. Our development team are able to code your CMS in any language whether ASP, .NET or PHP. This allows us to provide robust and flexible systems, future proofing your website and your business. Being fluent in any coding language allows us to work on any content management system or web development project whether customising our own in house systems or some of the many off the shelf systems including Drupal, WordPress, Magento, Expression Engine nopCommerce or Kentico. Our talented web development team build all our content management systems entirely in house and do not outsource any of the production process. This means any aspect of the content management system can easily be adapted to suit your needs. We can give you as much or as little flexibility as you need! Usually CMS is costly but we offer budget CMS services with complete safety and reliability. 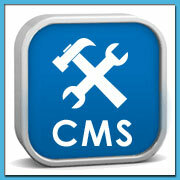 To get a cost-effective CMS development quote from us, please email us at [email protected]. Introduced new SaaS tools for online Businesses !! Check our SaaS section or go to http://www.servershine.net to check, all the available tools.